World Water Day is upon us. Initiated by the United Nations in 1992 during its Conference on Environment and Development, 22 March 1993 was chosen as the first international day for water aiming to draw attention to the importance of fresh water and its availability. The commemoration of the day has since focused every year on a different aspect of the difficulties faced by people in obtaining fresh water. There is no doubt that UN interest in this matter is of great importance, although the world body needs to do more than merely have an annual day on the issue. What is required is for the UN to put an end to the monopoly of water by any state which has water sources within its borders and to put an end to the diversion and theft of water from occupied lands. When an occupying power exploits the resources of the occupied land at the expense of the original inhabitants, it builds itself on the ruins of what it has destroyed, and such theft of resources is obvious, even when the occupier tries to hide its actions behind noble principles. This malfeasance is made worse by claiming that the land in question is a gift from God and politically-motivated myths such as it is “a land without a people for a people without land“. When such wrongdoing is compounded even further by acts of genocide against the indigenous people, killing thousands and dispossessing hundreds of thousands in acts of ethnic cleansing, the situation is very serious indeed. Following on from the efforts to destroy the necessities of life for those under occupation, the occupier has sought to control the main necessity, the water resources. The de facto annexation and control of water in the occupied Palestinian territories has always been, alongside the colonisation of land, one of Israel’s priorities. 2. As a result of the diversion of water from the river by Israel the land on both banks has been affected, while the salt level in the water has increased considerably. 4. Large underground reservoirs in the West Bank, known as the Reservoir of the Mountain and the Mountain-Well; the Palestinians have been unable to have access to them since 1967. From the above we note that Israel is the cause of the water crisis for Palestinians in particular and for Arabs in general, a fact that the Jewish state refuses to acknowledge. Israel will continue with its plans to control more water resources, especially as it seeks to attract ever-greater numbers of Jewish immigrants. Unfortunately, the Oslo agreement deferred negotiations of the issue of water to the anticipated ‘final status’ agreement, which was one mistake amongst many committed by the Palestinian negotiators. By agreeing to defer consideration of the most important issues until the ‘final status’ talks (including the status of Jerusalem, the return of refugees as well as the water issue), they have allowed Israel to introduce many changes and “facts on the ground” which the Palestinians will just have to accept. 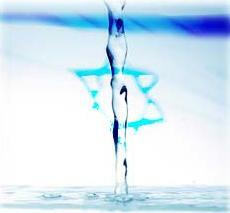 The Jewish state avoids discussing the core issues such as the water problems of the Palestinians and tries to shift the focus to long-term solutions such as the search for alternative water sources, desalination plants and a reduction in the amount needed for agriculture. It is worth remembering that unless proposals include Palestinian control over their own natural water resources, it is useless to talk about an independent Palestinian state, with real sovereignty over its air, land and sea. It is equally useless, to consider achieving genuine peace. The United Nations should take its responsibilities seriously and oblige Israel to end its illegal occupation of Palestinian land, giving back to the Palestinians their inalienable rights, including control of its natural resources. As long as Israel is treated with kid gloves by the international community, as a state which is above the law, peace talks – proximity or direct – will continue to be diplomatic devices to give the Israelis more time to create more facts on the ground; and genuine peace and justice will remain as elusive as ever.